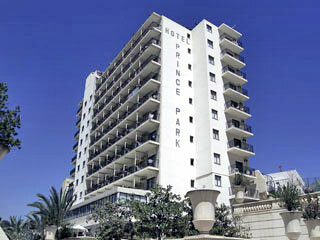 The Hotel Prince Park is set in a narrow street of the Old Town of Benidorm, with shops, bars and restaurants all within 200 yards. The Levante beach is about 800 yards away. Suitable for couples and families. Next door to the hotel is an outdoor auditorium where occasional concerts are held during high season. Offering a 24 hour reception, lounge, parking, internet, money exchange, laundry, buffet restaurant and cafeteria.